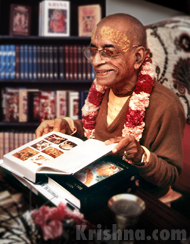 The books published by the Bhaktivedanta Book Trust fill an important need. The world is full of books on every conceivable topic, but Krishna conscious literature focuses on the essence of all knowledge—the nature of our existence as persons. Nowhere else will you find such a vast treasure of self-knowledge. They thoroughly explain the self, consciousness, the Supreme Self, and how to connect our individual consciousness with the supreme consciousness through bhakti-yoga. Another unique feature of BBT books is that the information they contain has been very carefully passed down, generation after generation, since time immemorial, through the teacher-to-student system known as parampara. You won't find any human guesswork here. These sacred writings represent the most time-honored spiritual culture in the world. 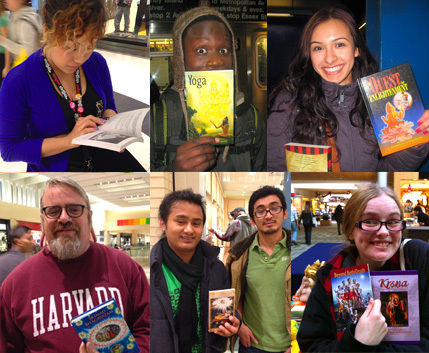 Because of this purity, the books continue to have a profound impact on their readers' lives. In 1965, His Divine Grace A.C. Bhaktivedanta Swami Prabhupada brought the first English translations of ancient India's devotional bhakti-yoga system to the western world. The books he translated, especially the Bhagavad-gita and the Srimad-Bhagavatam, describe in detail the eternality of the self, the identity of the Supreme Person, and the practical method of reawakening our original, spiritual consciousness. In these books you will discover the height of all wisdom contained in India's vast Vedic tradition. Presented in plain English—with vivid examples and illustrations—their message is simultaneously sublime and down-to-earth: Everyone wants happiness, but any happiness found here is temporary. We're all eternal spiritual beings, but our bodies don't last. Relationships based on the body have a beginning and an end. Permanent happiness is available when we reconnect with our spiritual nature and reawaken our relationship with the cause of all causes, the supreme transcendent person, Krishna. 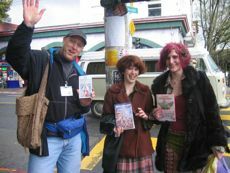 BBT books are sold in stores, but are often distributed in person by enthusiastic readers, who often go to great lengths to make the books available to everyone, everywhere. If you've received a book, you might want to explore our suggestions for further reading, sample our eBook clubs, or ask questions via Live Help. If you don't yet have a copy of any of our books, today is your lucky day. Krishna.com is the online retailer for the Bhaktivedanta Book Trust, and we have numerous titles to choose from. Most of our titles are also available in eBook format, as audiobooks, and as free PDFs.